India's stand on WTO Trade Facilitation Agreement | Business Article | MBA Skool-Study.Learn.Share. WTO is trying introduce a Trade Facilitation Agreement (TFA), which is considered as WTO’s most ambitious project till date. 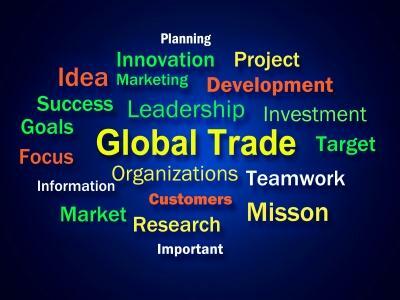 Trade facilitation is an attempt to make simplify trades between countries. TFA will minimized the complexities involved in international trades by streamlining customs and administrative procedures. This will certainly lead to ease of market access and lower the time between product manufacturing and delivery. It is expected that this agreement will create around 21 million jobs around the world most of them would be created in developing countries like India. According to OECD estimation every 1% decrease in the global trade costs, $40 billion will be added to the economy. TFA can boost world economy by US$ 1 trillion. Mostly small-medium enterprises face major problems during international trades, and TFA will definitely help SMEs on larger extent. As developing nations have great number of SMEs, this agreement will be major boost for developing countries around the world. In December 2013, Bali meet, India had agreed that Trade Facilitation Agreement can be made WTO rule by July 31, 2014 ministerial meet. But then there too, India had raised its concern over cap on subsidies given to farmers. According to one of the rule in TFA developing countries cannot give subsidies more than 10% of total value of its harvest based on 1986-88 prices. Considering price base from 1986-88 doesn’t make sense to any developing nation as there is a huge difference in currency levels and inflation from 1986 to 2014. This cap on food subsidy was unacceptable to India. Then taking into consideration concerns of India and other developing countries, a ‘peace clause’ was included in the Bali meet. This ‘peace clause’ was an interim solution for the problem and would only protect the developing countries likes of India for four years, until permanent solution is reached. Then India and Africa accepted the agreement and showed their commitment to sign deal on 31st July 2014. It was considered as a success for WTO as in its history of about 2 decades it had never managed to reach consensus among all of its members. Now in Geneva ministerial meet on 31st of July, 2014 India declined to sign TFA as it wanted permanent and concrete solution on food subsidy issue rather than four year temporary solution like a peace clause. In the time between two WTO meets India had undergone political change, Bhartiya Janata Party which was in opposition earlier is leading the nation. New government at the center in India is convinced that India needs a permanent solution on subsidy rather than temporary one. Food subsidy is major issue in the country as 25% of worlds hungry population resides in India. India provides Minimum support price to its farmers and create stockpile of grains to distribute it among the needy in the country at subsidized rate. Other than this, India also introduced food security bill in 2013, which provides cereals at minimal price to almost two third of the country’s 1.2 billion population. So keeping cap on food subsidy to 10% that to on prices from 1986-88 is too difficult task to achieve for India. To certain extent India has a valid point, as there is no guarantee that permanent solution will be reached within four years. If India agrees the deal now, and fails to reach permanent solution in four years then other countries can challenge India in WTO court. Any trade agreement should not interfere with the food subsidy of the country. International Fund for Agricultural Development (IFAD) on 18th of August 2014, came in support of India’s stand on TFA, with the statement that feeding people of the country is more important that creating jobs in other countries. In countries like India and Africa food subsidy is issue of livelihood of more than half the population of the nation. One country has every right to protect the basic right of food security of its citizens, so forcing India to accept peace clause with uncertainty on the food subsidy issues after just 4 years doesn't make sense. Improvement in public distribution system (PDS) in a country is necessary for countries like India but when to tackle the issue of improvement in PDS and what priority should be given to it, is a sovereign issue of the nation and country should be allowed to do it at its own pace.